I was presenting a workshop on literacy in the sand table at the Utah Early Childhood Conference this past Saturday. I was reminded about how critical it is to help young children feet comfortable with writing. Many early childhood educators mistakenly use handwriting activities as a writing response. Since writing is putting our thoughts down on paper, for young children that means drawing pictures. Handwriting will come as fine motor skills develop and as the child learns about the alphabet and reading. It is critical that we allow children to draw pictures and respond to the environment often, without the requirement of 'writing' letters and words. Although dictation (writing the words on a child's picture) is appropriate at times to model writing, it is also important for a child's project to stand alone. This is one way we can help children feel comfortable with responding to texts and putting their thoughts down on paper. The writing process is an important part of the new Common Core State Standards. 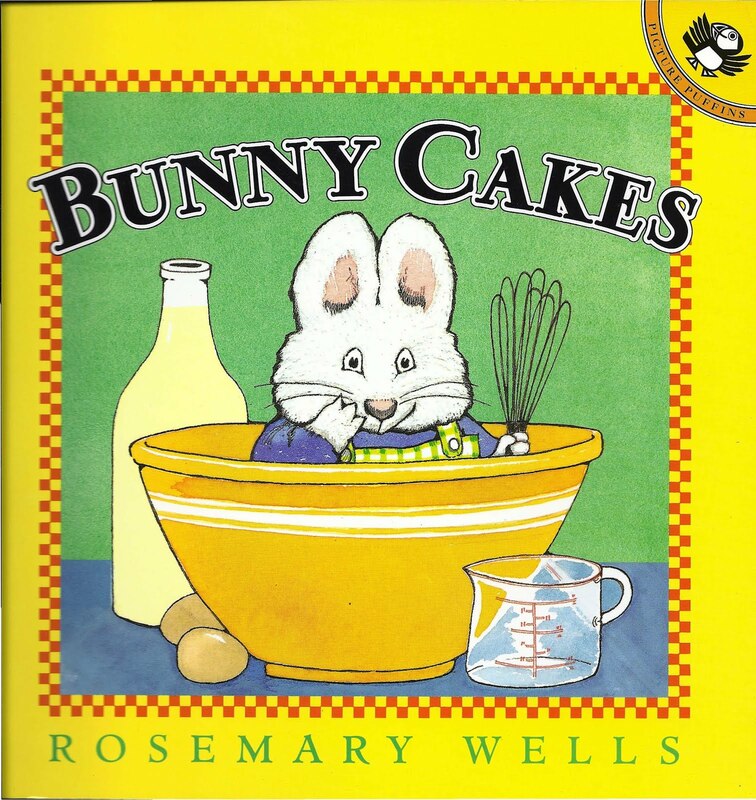 I often think of the book, "Bunny Cakes," by Rosemary Wells. 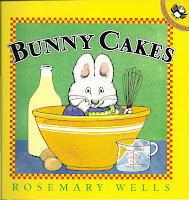 In the story, Max wants Red Hot Marshmallow Squirters for his cake. Since he can't write words, his success comes when he draws a picture of what he wants. Let's support the writing process in young children by allowing the drawing of pictures and celebrating those responses. You can take digital photos of each piece of artwork and upload to a digital photo book at yorkphoto.com, and when your child starts 3rd grade, get it printed (there's not as much art after that). Or you could print it by year. Or, you could have it printed as a canvas picture suitable to be framed. Once it's digital, it's easy to do a lot of things with it - calendars, mugs, t-shirts, for grandma, etc. kids educationI hope you're fine there. I'm interested exchange link with your website. Here I'm sending you my website details. Please add these and let me know with your details. This is time when kids use to discover some new kind of alphabet other then A-Z and making some amazing design but here mothers have to play crucial role to make them on the right way. Great article. I have just been talking casually with some parents on this subject. I love how you go on to say - it "is appropriate at times to model writing, it is also important for a child's project to stand alone". So true! And great to be reminded. In terms of photobooks, we have recently published a book of our 3 & 4yr olds Silk Paintings. With ideas gathered from the children about their ideas of a story, two parents worked on the text to build a story with the silk paintings as illustrations. Maybe next time we could consider a wordless book with their illustrations. Beverly Kaye - Manaia Kindergarten. Great thoughts about early childhood writing. I admit when I first started teaching I had little vision (and consequently little success)on teaching my kids how to put their ideas on the page. I focused on penmanship and grammar, making it hard for my kids to develop their stories and make them interesting for their audiences. The programs that opened my ideas to successfully fostering a love of writing, as well as, helping them to see and record the world around them was the Lucy Caukins Writing Workshop and Interactive Writing. My writers were ages 4-7 and thrived at their individual levels and ages once I worked with them on recording what they experience everyday. We started with pictures, then moved to labels, and finally to sentences. The progression allowed students to work at their pace and see success at each step. I recommend these programs to anyone to help develop excellent young writers. I have never posted a comment to a blog, but I felt this was such a wonderful and insightful post, I would give it a try. Handwriting develops as a child's fine motor skills develop. I agree that one way to help this development is through drawing. As young children learn how to hold crayons, paint brush, etc., they also learn how to express their thought onto paper or other means. Once children learn to recognize letters of the alphabet, they can build upon their fine motor skills and expression of thought through handwriting and written words. I am studying to be a future early childhood educator, so I have not had the opportunity to work with young children in a classroom or writing, but I am the mother of 3 children. From the moment my children were able to hold, grasp, and make a connection between their hand/eye coordination, they were drawing. At first they were only scribbles, but as they grew older to become expressive pieces of artwork. Many time their artwork allowed me to gain insight into an activity they wanted to do when they could not speak or thoughts they had. Writing is a valuable tool for children to learn early on in life, however learning how to visually display thought, words, or feelings is the first steps in learning writing. I love to encourage the children to try to write what they are asking me to write on their pictures. I will either write it first on another piece of paper and ask them to write it themself on their paper. Sometimes the child rather write the comment themselves using their own letters! I am learning to be a upcoming beginning younger generation presenter, so I have not had to be able to perform with kids in a educational developing or composing, but I am the mom of 3 kids. From when my kids were able to keep, understand, and create a relationship between their hand/eye anachronistic, they were drawing. Early childhood writing skills are best developed when a parent or caregiver provides opportunities for practice, such as providing materials for making cards or writing notes. A child reaches the phonemic stage around three and a half years of age. He will begin to make repeated patterns, lines, dots and curves. He will also begin imitating writing and he may be able to write some letters of the alphabet. I really enjoyed reading your post regarding Early Childhood Writing. I am currently working with Pre-K students and wish to utilize writing as a response tool. Your post brought such a great perspective in relation to the student's output with the activities. For example, when discussing Community Helpers I would like to ask the children to illustrate (or write) about their favorite Community Helper and welcome their illustrations as a form of writing. Thanks for ones marvelous posting! I genuinely enjoyed reading it, you’re a great author.I will make certain to bookmark your blog and will often come back later on. I want to encourage continue your great writing, have a nice morning!